Guangzhou is the third biggest city in China and the capital of Guangdong, the richest province. 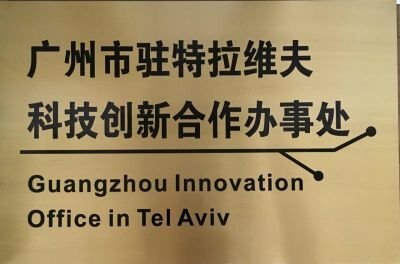 In recognition of Israel's innovative achievements, the government of Guangzhou decided to establish a new Interests office in Tel-Aviv and in June 2017 launched the Guangzhou Innovation Office in Tel Aviv in order to expand the cooperation and strengthen the economic and trade relations between Guangzhou and the State of Israel in the fields of technology, science and innovation. The two other economic representative offices that were established by the City of Guangzhou are located in Boston and the Silicon Valley. Our main goal is to encourage cooperation and trade between Israeli and Guangzhou based companies in various fields of technology, science and innovation such as Smart Machinery and Robots, Next Generation IT, Bio-Tech, E-Medicine, Innovative Material, New Energy and Energy Conservation, Cellular Technologies, Cloud Computing, Cyber Security, Artificial Intelligence, Big Data, Machine Learning, Satellite Technologies, Navigation, 3D Printing, Medical Devices, Technology in Education, etc. In addition, we encourage and facilitate the cooperation between Chinese and Israeli academic and cultural institutions, hospitals and other private and public organizations. We encourage companies, individuals, private and public institutions to approach us in any matter concerning possible cooperation between our two great nations.